NEW JERSEY GIFT BASKETS, NJ Presents, Gifts, Fruit Basket, Care Package and Gourmet Food Delivery. Send gift baskets, gifts, flowers, fruit and presents to NJ. Shop online for unique gifts for holidays, birthdays and all occasions. With so many NJ gift baskets to choose from, you never have to be without gift ideas to let your New Jersey friend know he or she is in your thoughts. Gift baskets aren't only for one's enjoyment...the right gift basket selection might help seal your friendships for a lifetime. But what type of gift basket should you buy for a long distance friend that lives in New Jersey? A heart-warming gift basket is always a winner. At Adorable Gift Baskets, our NJ gift baskets are designed to strengthen friendships and let them know you really care about their happiness. Our gift baskets sent to New Jersey enable you to go the extra mile when it comes to gift giving. Lavish your special friend or loved one with a gourmet food basket packed with all their favorite goodies. Our flavorful chocolate gift baskets delivered to New Jersey will surpass all their expectations. The melt-in-your-mouth Godiva, Ghirardelli and world class chocolate snacks will satisfy their sweet tooth as they thank you for their lovely gift. And for your friends who are not "chocolate lovers", you're sure to find a fitting NJ gift basket that will surprise and delight them beyond their expectations. Gourmet foods galore are found throughout our NJ gift basket delivery catalog. From cheeses to crackers, sausage to nut varieties, there's plenty to munch on within every basket. For the coffee lover, our gourmet coffee baskets and gifts delivered to NJ will make their mornings seem a little brighter. And of course, we always have bright fresh fruit baskets for a friend that prefers something healthier such as apples, oranges and bananas! So, what type of New Jersey gift baskets will you find while browsing our online gift basket catalog? 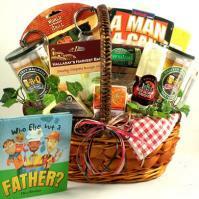 Adorable Gift Baskets offers NJ gift basket delivery for any occasion. If you need to welcome a new baby, then be sure to browse our cute and cuddly baby gift baskets. To shower your friend with gifts that relax and pamper, try our spa baskets filled with bath oils, soaps, lotions and scented candles. Greet your close friend for Christmas with a festive holiday basket stuffed with Christmas cookies, candy canes and more. Or, select a gorgeous flower arrangement when you want to send a quick "hello" with a unique gift. New Jersey was the 3rd state to be granted statehood. December 18, 1787. The state flag was instituted in 1896. The capital of New Jersey is Trenton. New JerseyÌs official insect is the honeybee. New JerseyÌs official flower is the Common Meadow Violet. New JerseyÌs official bird is the Eastern Goldfinch. New JerseyÌs official memorial tree is the Dogwood. New JerseyÌs official colors are the Buff and Jersey Blue. New JerseyÌs official animal is the horse. New JerseyÌs official dinosaur is the Hadrosaurus Foulkii. New JerseyÌs official fish is the Brook Trout. New JerseyÌs official fruit is the Highbush Blueberry. New JerseyÌs official shell is the Knobbed Whelk. New JerseyÌs official Tall ship is the A.J. Meerwald. There are 21 counties in the state of New Jersey. New JerseyÌs official motto is "Liberty and Prosperity". New JerseyÌs nickname is "The Garden State".